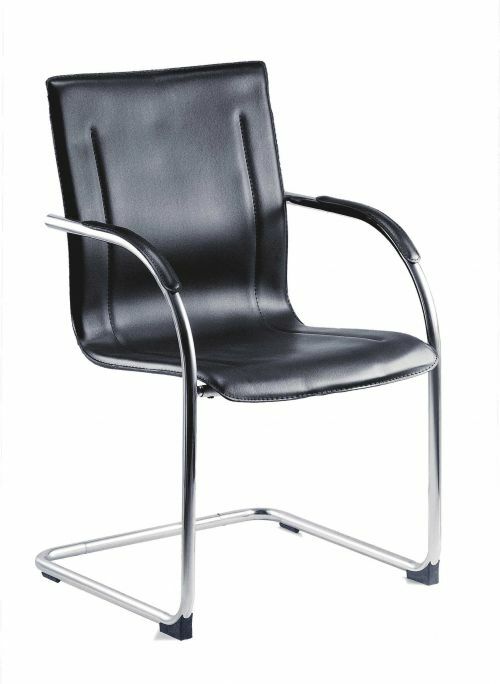 The Teknik Office Guest Black Leather Look Reception Chair is a superb match for all reception and waiting areas. With its wipe clean stylish single shell seat matching padded armrests and a polish chrome cantilever frame it is ideal for matching all interiors. It is a firm sit chair and great for up to 5 hours a day rated to 115kg. This is available in singles or in packs of 5.